Instagram is a very useful social media platform when looking to grow your business reach, and offers a personal and easy link to your target audience, provided you use it correctly. When it comes to finding your Instagram marketing niche, there are a few steps for you to follow in order to guarantee that your brand is getting the traction that you’re after. 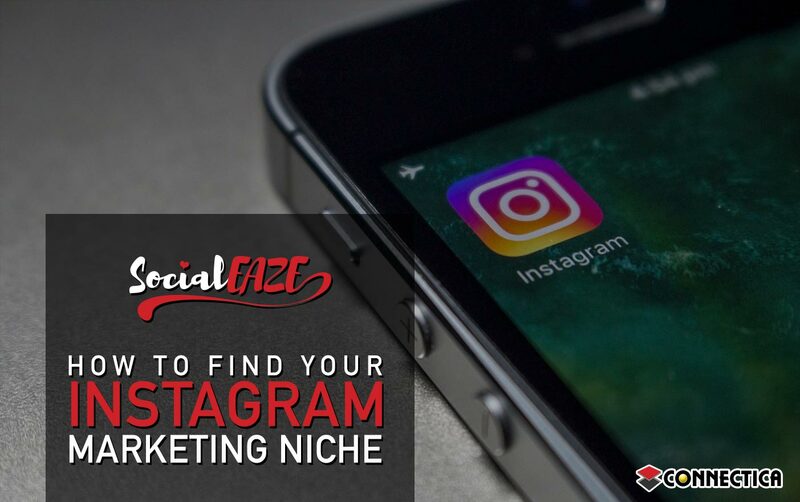 What is an Instagram Marketing Niche? People use Instagram for various reasons- to follow friends, keep up with family, to see what their favorite celebrities are up to, to share memes and gifs and to engage with brands. They respond differently to each sphere, an important consideration when coming up with your successful Instagram campaign. Your Instagram marketing niche defines the strategy that you use to engage with current and potential customers. Remember that for this to be successful, your profile and posts should be in line with your business, to easily convey what you do and how you do it. Organized and well-presented, everyone should be able to navigate your Instagram page with ease, finding all the practical information they need. By defining your audience, you’ll have a clear target in mind when coming up with content and sharing it. Your target audience is likely to be very large and diverse, which means opportunity and growth for your business. On the other hand, it also means that your strategy needs to be more complex, in order to accommodate the differing tastes and interests of your audience. Your target audience is always changing, so you’ll need to keep up to date with changes to re-evaluate your content and audience regularly. Once you’ve identified your audience, the next step is to reach out. How you reach your audience will differ according to their interests, but there are certain things to that should be considered when creating your niche. It’s important to pay attention to the time and day you post, in order to make sure you’re providing your post (and ultimately your brand) with the widest reach. One such tool that you might not be using to full capacity is Instagram Stories. It’ll allow you to engage with your audience and create better content, while staying fresh in the minds of your audience. Another aspect for supporting and promoting content is hashtags. This provides a window into who your audience is, while driving these people to your brand. What kind of content is shareable or makes an impression? What stands out amongst endless pages in their feed? What is likely to make someone buy the product or service that I’m selling? Another thing to think about is which of your posts in the past have received the most engagement for your brand, as well as taking a look at competitors’ pages to see how they engage with the audience and what content they create. One marketing strategy to utilize is influencers, who are a great resource into untapped communities for your brand. You’ll need to decide what a successful campaign means to you and what you hope to gain from bringing an influencer onboard – this could be better brand awareness, product pushing or specifically for hard sales conversions. It’s a never-ending task to constantly be defining your Instagram marketing niche, and finding new potential customers to interact with. It’s important that you keep listening to the conversation, and making sure that your business stays on-brand with the market out there. Utilizing these steps will help you to define your Instagram marketing niche, in order to get your business’s name out there. For more information on how to use Instagram and other social media platforms for your brand, call us today at: 1-877-816-2259.